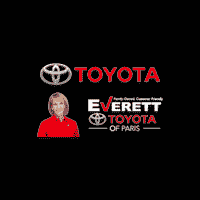 Valid only at Everett Toyota of Paris. Not valid with any other offer or prior purchases. Installation and labor included. Tax and Shop supplies extra. Toyota and Scion vehicles only. Replace your brakes with pad that are made for your car by the pros that built it, with value line brake pads. Let our Toyota-certified technicians assess the situation and recommend any necessary services.